Away from the bright lights of Music Row and the glitz of corporate driven country music, the eastern part of Nashville continues to buzz with a style that takes the genre down a more folk and Americana inspired road. This thriving refuge of likeminded artists has been the perfect environment for Amelia White to flourish and her latest release looks set to take her residency in the city to a new level of artistic recognition. OLD POSTCARD is a gritty collection of creative guitar-led tunes that never waivers from balancing a rock overture with a tender heartfelt undercurrent. With numerous releases behind her in the dozen or so years since discovering Nashville as her true home, Amelia has settled on a sound that pays homage to her banjo playing grandfather while encompassing the passion acquired while cutting her teeth on the Boston rock and folk scene. The result is a highly competent and rock solid composition of 11 songs straddling the genre triangle of her influences and in places tipping her hat to the country sound synonymous with her adopted home town. The sheer consistency of the 37 minute listening experience is probably the album’s defining feature and this will serve her well in the pursuit of more recognition in the UK. 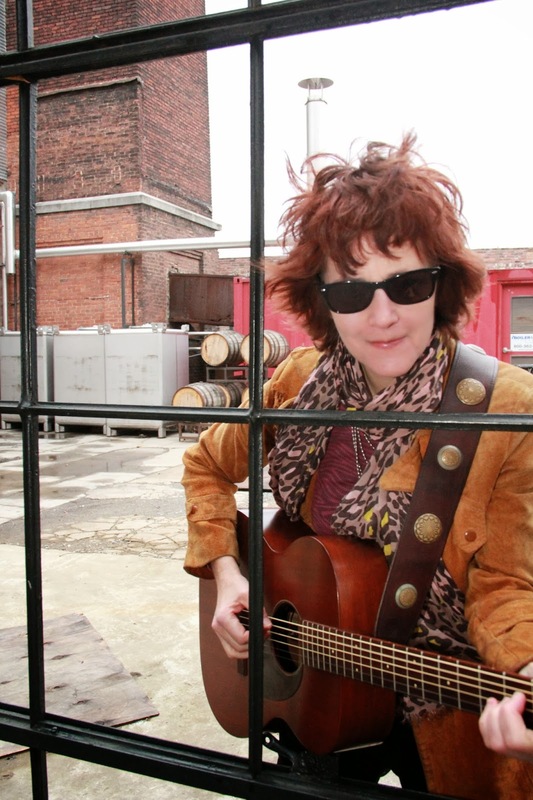 The press release name checks Mary Gauthier, Lori McKenna and Lucinda Williams in its desire to promote Amelia and they are not too far off the mark especially with the latter. Traces of Lucinda Williams is not a bad feature to incorporate into your record and to these fine comparisons I would add aural visions of Kasey Chambers appearing when listening the record’s stand out track ‘Goodbye Sun’. In an album which flutters from an aroma of gentle acoustic to more awe-inspiring rock, this song resides in the former camp with a lovely layer of subtle pedal steel gracing its presence. In a similar mode ‘Old Stone’ is a mellow beautiful offering and a pair of haunting tracks in ‘Brothers’ and ‘Hollow Heart’ wallow in a dark yet enchanting mood. For this record, Amelia has fully utilised the guitar talents of John Jackson who numbers Lucinda Williams and Bob Dylan amongst his collaborators. This guitar presence moves up the gears for a couple of tracks more akin to her indie rock background in ‘River of My Dreams’ and ‘Mary’s Gettin' Married’. The addition of pedal steel and a nod to the other more wider known side of Nashville flavours the rhythmic number ‘Get Your Cowboy On’ while ‘Daddy Run’ is probably the most chorus friendly track. This is one of several songs to feature harmony contributions from fellow female vocalists and the sole one to have a guitar piece supplied by Tim Carroll. ‘Ghetto’ and the superb scene-setting album opener ‘Big Blue Sun’ epitomise the consistency of this release which just leaves its title track to probably sum up best what the album is about. Amelia has used this record to address some of the family issues that have figured in her pursuit for self-actualisation. ‘Old Postcard’ is a reflective retro piece, steeped in nostalgia and containing a faint hint of banjo that possibly sits as an acknowledgement to the side of her family that acted as her career’s conductive force. The wonderful striking cover photo for OLD POSTCARD astutely captures the soul of the record and perhaps is a pointer to why this has been considered by others Amelia’s most important release to date. 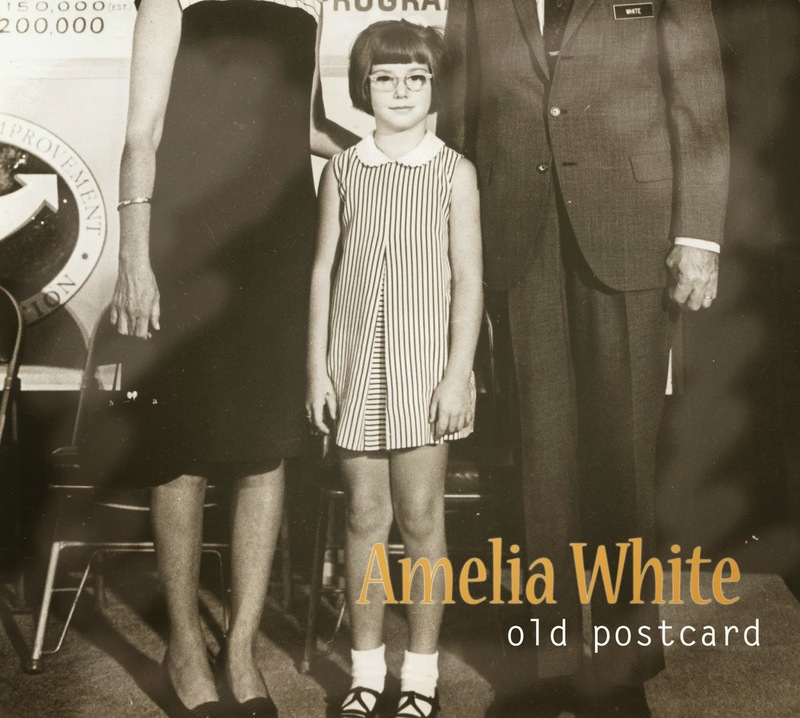 Whether or not you are acquainted with the work of Amelia White is immaterial for the appreciation of OLD POSTCARD as it has sufficient merit to warrant a place in your music collection when it gets its formal UK release on March 10th.